At least 1,000 young puppet masters consisting of elementary and junior high school students in Yogyakarta are taking part in Jogja International Heritage Festival (JIHF) 2017 that runs from Nov. 5-11. These puppet masters are set to perform at Jl. Margautama. “This event is to celebrate International Wayang [shadow puppets] Day that falls on Nov. 7. In this event, we are presenting wayang‎ as one of world's heritage objects while also implementing the Convention for the Safeguarding of the Intangible Cultural Heritage 2002,” said Yogyakarta Cultural Agency head, Umar Priyono. “The theme is 'Gelar Sanding Dalang 1000 Bocah' [A Show of 1000 Young Puppet Masters]. 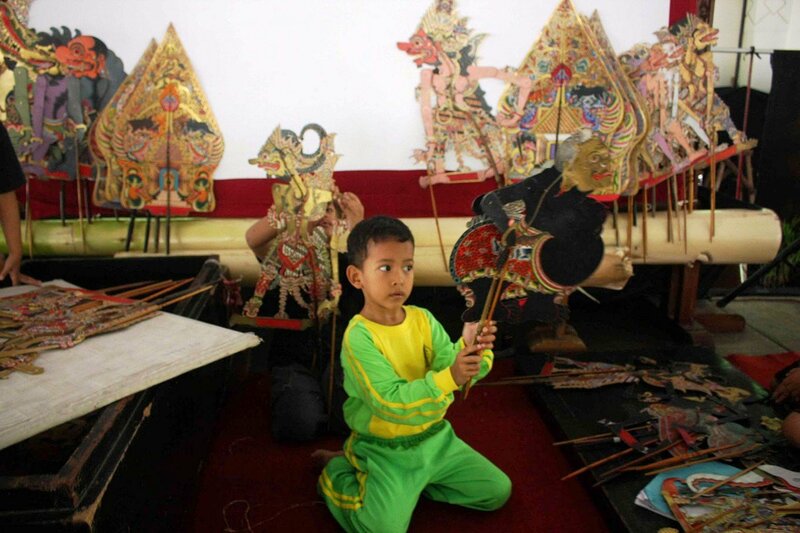 There’s going to be a birthday celebration for the recognition of wayang as a world cultural heritage and a presentation of it as a traditional, contemporary and popular product,” Umar added. Moreover, the festival also features a workshop on tatah sungging process and wayang sodo making process for students in Yogyakarta and two seminars on “Supporting Wayang in the 21st Century” and the different kinds of contemporary and classic shadows puppets. Tourism Minister Arief Yahya said the festival is in line with creative industry and tourism.